Used only one time I am offering this beauty with a bonus gift (secret) for a lucky member. 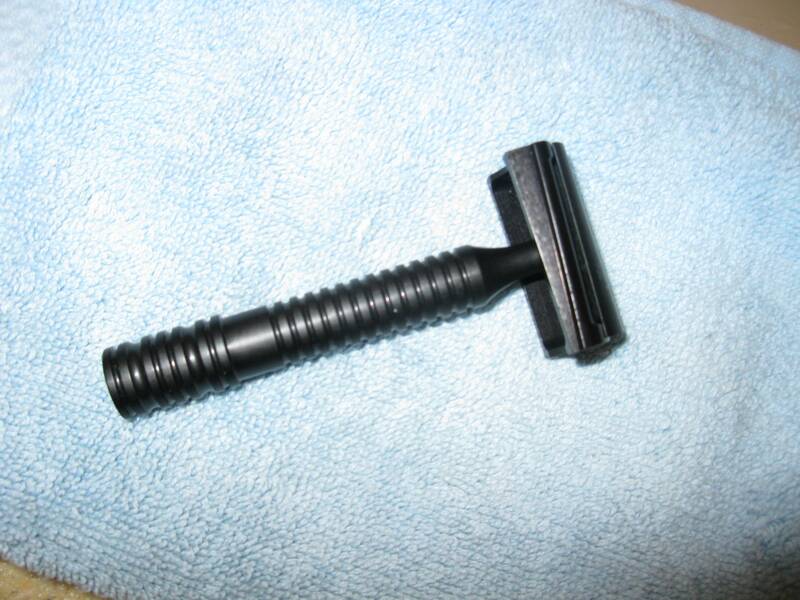 When you shave with it you can't tell the blade is in it because it's so smooth and efficient. Made of aluminum weight is 45 grams and 100 mm long. Asking $85 includes shipping ONLY USA. I will take the stealth!! I have been wanting to give it a try! Pending sale. The response has been incredible. I wish I had a dozen. I'll buy it if still available.